Alderwoman Adella Gray details a new civil rights ordinance she co-sponsored at a news conference held June 5 in Fayetteville. 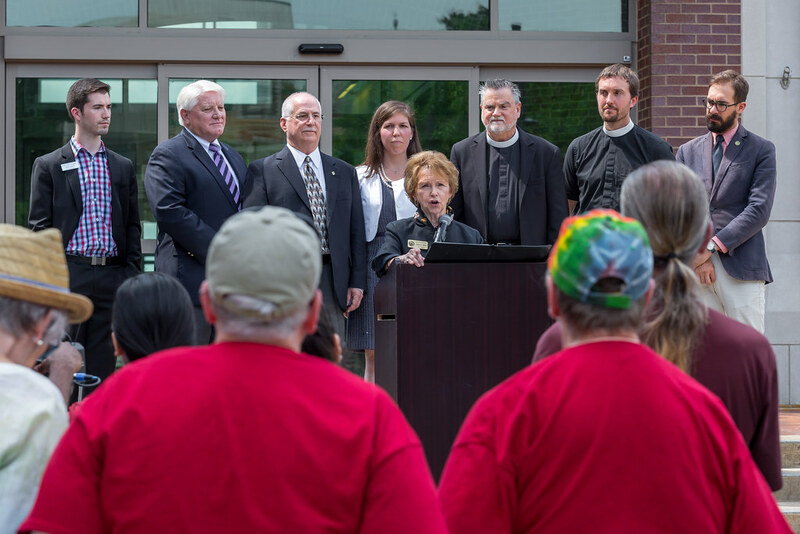 Voters will have another chance to decide the fate of LGBT rights in Fayetteville. City Council members voted 6-2 to pass the Uniform Civil Rights Protection Ordinance after almost four hours of discussion Tuesday night. As part of the approved language, the ordinance will not go into effect unless voters approve the measure in a special election to be held Sept. 8. If passed, the new law will prohibit business owners and landlords from firing or evicting someone because of their sexual orientation or gender identity. It will also provide protections for use of public accommodations, including restrooms. Unlike the Civil Rights Administration Ordinance that was approved by aldermen and then later repealed, the city attorney would not serve as the administrator of complaints. Instead, a Civil Rights Commission would be formed to review and decide complaints of alleged discrimination. 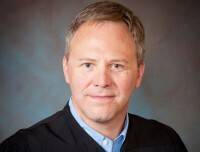 The commission would consist of seven members: two representatives of the business community; two owners or managers of rental property; one representative with experience in human resources or employment law; and two citizens at large, at least one of whom identifies as lesbian, gay, bisexual, or transgender. Anyone asserting a claim of discrimination would be required to present their claim in writing to the city attorney, who would inform the Civil Rights Commission that a complaint had been received. Informal and confidential mediation would be attempted by the city before any other enforcement measures could begin. If mediation fails, the commission would schedule a hearing to review the complaint and receive evidence. If the commission determines that discrimination had occurred, the violator would be fined up to $100 for the first offense. Subsequent violations would carry the city’s general penalty which calls for fines of up to $500. A violation would not be considered a misdemeanor or felony. Alderwoman Adella Gray, who co-sponsored the new ordinance, said work began toward a new proposal shortly after the original law was defeated at the polls in December. She said after talking with residents, business owners, and faith leaders, she believes most Fayetteville voters support the vision of the original ordinance, but some felt it wasn’t a good fit for the community. 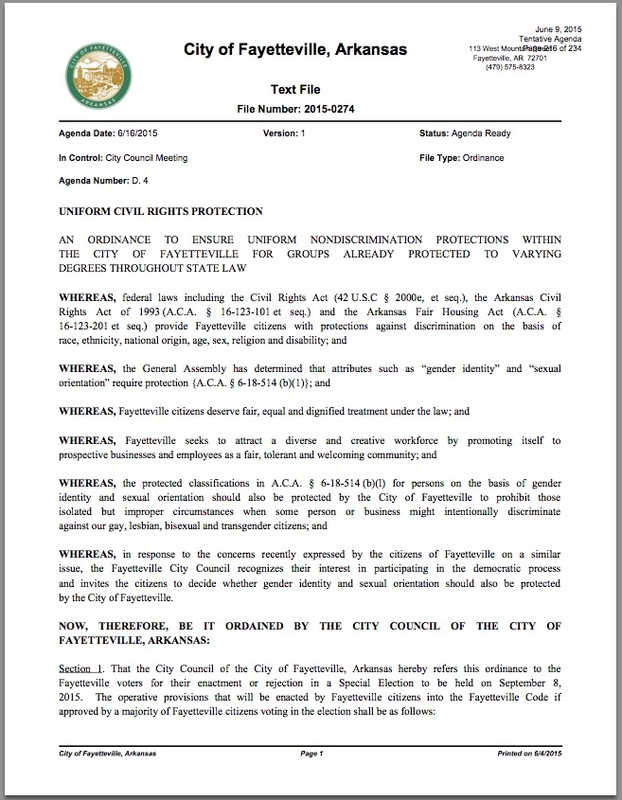 The new ordinance has support from the Fayetteville Chamber of Commerce, a group that campaigned for repeal of the original ordinance, which was drafted using language from the Washington-based Human Rights Campaign as a starting point. Gray said the new proposal, which specifically outlines claim submission, hearing procedures, and order of penalties, was drafted with help from local attorneys. That was apparently enough to convince chamber leadership to support the new law, as Clark was one of several people standing alongside Gray as she announced the new proposal on June 5. 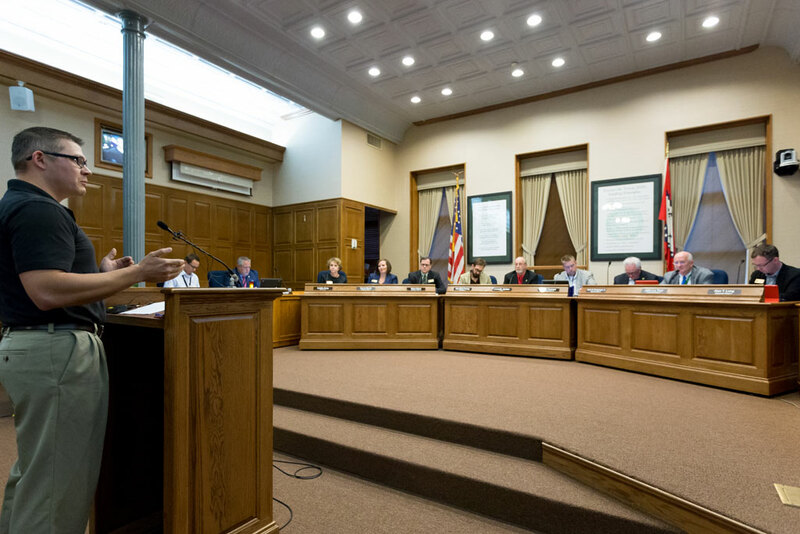 Over 50 residents spoke during the public comment portion of the meeting Tuesday night, but not before Alderman John La Tour read 14 amendments he said he’d like the council to consider. With no support for any of La Tour’s proposed amendments, public comment began. They said civil rights protections could be more powerful than just easing the emotional pain. One woman, who is a local teacher and therapist, applauded the City Council for taking this issue up again. She said laws that protect LGBT residents help change how people view those groups, which will lead to a more inclusive society. “This is a tremendous shift in our culture and our world,” she said. The first person to speak against the ordinance said the street he lives on has pot holes and water line issues that need attention. He said the city should be addressing the repair of infrastructure problems instead of spending money on a special election. The pastor at a local Presbyterian church said he believes the ordinance will be used to deliberately target Christians who believe that homosexuality is wrong. Several other residents who spoke against the ordinance agreed and said it discriminates against them because the proposal violates their freedom of religion, freedom of conscience, or freedom of speech. One man who was against the original civil rights ordinance said he now supports the new proposal. He said the previous law was not clear enough in its religious exemptions, but he’s pleased with the new language that includes specific exemptions for churches, religious schools and daycare facilities, and religious organizations of any kind. Two women who spoke said they were worried the ordinance would open the door for sexual predators by allowing men to enter women’s restrooms or dressing rooms to gain access to children. Another resident countered their argument and said laws already exist that prohibit people from entering the wrong bathroom for an unlawful purpose. A man named Nathan said it’s not easy being a gay man in Arkansas, but knowing there is a community of accepting people in Fayetteville has made life easier. He said passing an official law would not only discourage discrimination, but would also send a message to other people around the state who are looking for a safe place to reside. Several people said another special election would be a waste of time and money, and that the people made their choice when repealing the original ordinance. Resident Justin Fletcher said such a narrow margin of support for repeal of the original ordinance (the law was repealed by a vote of 7,523 to 7,040) shows there is room for further discussion of the issue. “A few hundred votes is certainly not a mandate,” said Fletcher. Fayetteville residents were allowed to speak first. During that portion of the meeting, 25 residents spoke in favor of the ordinance, and 16 residents spoke against the proposal. The floor was then opened for people who do not live in Fayetteville. One man from Little Flock said he was surprised to hear that a position for a faith leader wasn’t reserved on the proposed Civil Rights Commission. As proposed, the commission would consist of seven members: two representatives of the business community; two owners or managers of rental property; one representative with experience in human resources or employment law; and two citizens at large, at least one of whom identifies as lesbian, gay, bisexual, or transgender. Two people who live in neighboring cities but own companies in Fayetteville, said the ordinance will make it harder to do business here because it could open the door for people who want to abuse the new law by making false claims of discrimination. 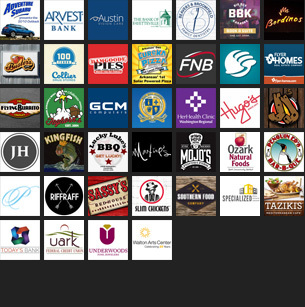 To counter that argument, a woman who is a CEO of a San Francisco-based company, and who is currently in town doing business in Fayetteville, said the ordinance will only strengthen the local business economy. She referenced statistics, similar to those in a study by the Human Rights Campaign Foundation, which have found that 91 percent of Fortune 500 companies have implemented policies which prohibit discrimination on the basis of sexual orientation, and 61 percent have protections in place on the basis of gender identity. Public comment ended at around 9:15 p.m. Of those who spoke as non-residents of Fayetteville, seven people spoke in favor of the ordinance and four people spoke against. Alderman John La Tour was the first council member to speak after public comment was closed. He echoed previous comments he’s made about the ordinance, and said City Council discussions should be limited to basic infrastructure problems, not talking about civil rights issues. Alderwoman Sarah Marsh was next to speak, and she immediately motioned to suspend the rules and take the ordinance to the second reading. The motion passed 7-1 with only Alderman John La Tour voting against. Alderman Mark Kinion was next to speak, and he motioned to suspend the rules and take the ordinance to the third and final reading. The vote was 5-3 with aldermen La Tour, Tennant, and Schoppmeyer voting against. Suspending the rules requires six affirmative votes, and Mayor Lioneld Jordan exercised his right to cast a vote, which was enough to pass the motion. Kinion said he motioned for a final reading Tuesday because of the extensive amount of time that has already been spent debating the original ordinance. “Let’s take it to the public again and see if the revisions answered the concerns of the business community and of those who opposed the original proposal,” said Kinion. Alderman Justin Tennant, who was one of two aldermen to vote against the Civil Rights Administration Ordinance, said his issues with the original law had been addressed and he was in support of most of the new ordinance language. However, he said he would be happy to schedule an Ordinance Review Committee meeting to consider further changes – as requested by Alderman La Tour last week – if other members of the committee are interested. Alderman Matthew Petty said he was willing to further review the issue, but only if there was reason to believe that Alderman La Tour would support the ordinance with his proposed amendments in place. La Tour said he couldn’t commit to the idea that his amendments would help sway his vote. Alderman Tennant said he preferred not to spend the money to hold another special election if at all possible. He suggested tabling the issue, holding an Ordinance Review Committee meeting, and then approving the ordinance outright in a few weeks instead of sending it to voters. “At least that way I could look the citizens in the eye and say I didn’t spend another $37,000 of your money,” said Tennant. Alderwoman Marsh said she talked to many voters who felt misled at the polls during the vote to repeal the original ordinance. “One of the advantages of sending it to the people again is that we can be clear and transparent in the language on the ballot,” said Marsh. Alderman Petty said in an ideal world, civil rights shouldn’t be voted on, but out of respect for the fact that petitioners worked hard to repeal the original law, the new proposal should go back to the polls instead of being approved outright by the council. With no support for tabling the issue, it was clear a final vote was forthcoming. Mayor Jordan told the council he was in strong support of the original civil rights ordinance and said he would proudly support the new proposal. He said the Fayetteville LGBT community currently suffers from the fact that they can be fired or evicted simply for being themselves. “I think that’s wrong and I think that needs to be addressed,” said Jordan. Several residents who spoke against the ordinance Tuesday said they won’t forget the names of anyone who votes for the measure when it’s time to head to the polls for the next general election. Jordan said he isn’t worried about possible political backlash for his beliefs. The ordinance eventually passed 6-2 with aldermen La Tour and Schoppmeyer voting against. Schoppmeyer, who also voted against the original measure, offered no explanation of his vote on Tuesday. Williams, said despite the new legislation, he doesn’t believe the new ordinance conflicts with state law. He referenced an argument used by Little Rock City Attorney Tom Carpenter when Little Rock was considering a civil rights ordinance in April. Carpenter cited portions of Title 6, Chapter 18 of Arkansas Code, which prohibit bullying in public schools on the basis of several classes, including sexual orientation and gender identity. Because those protected classes already exist, Carpenter opined, a municipality would not be in violation of Act 137 by adopting nondiscrimination policies based on those classes. “It won’t be a slam dunk…but I’m fully prepared to defend this,” said Williams. The meeting was adjourned a few minutes before 10 p.m. on Tuesday. While it was a long night, the meeting was much quicker than the original civil rights discussion last August, which lasted until 3:45 a.m. and ranks as the longest in the history of the Fayetteville City Council.